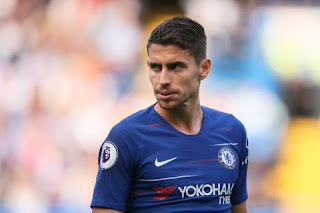 The Italy international controlled the entire match at St James’ Park.Summer signing Jorginho set a new Chelsea record for passes in a single Premier League game as the Blues edged their way past Newcastle United at St James’ Park on Sunday. 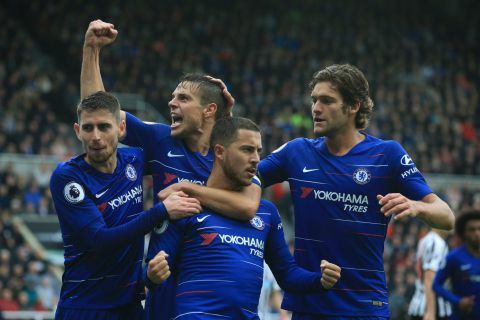 Maurizio Sarri’s side took the lead from the penalty spot through Eden Hazard but were quickly pegged back by Joselu, though DeAndre Yedlin touched the ball into his own net late on to secure all three points for the visitors. That makes it three wins out of three for Chelsea under their new manager, and his eye-catching style – nicknamed ‘Sarri-ball’ – is already starting to take seed. Sarri took Jorginho with him from Napoli in a £52million deal and the Brazilian-born Italy international has quickly become integral to his side’s midfield control. And against Newcastle he set a new record for most successful passes by a Chelsea player in the Premier League – though fell just short of the overall record. Most completded passes in a single Premier League game.